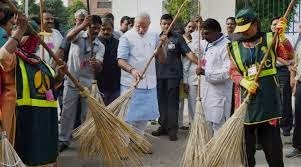 Swachh Bharat Abhiyan is a national level campaign by the Government of India, launched by the Honorable Prime Minister of India, Mr. Narendra Modi on 2nd October 2014 on the eve of Gandhi Jayanti, with the noble cause to clean the surroundings in which we citizens dwell. 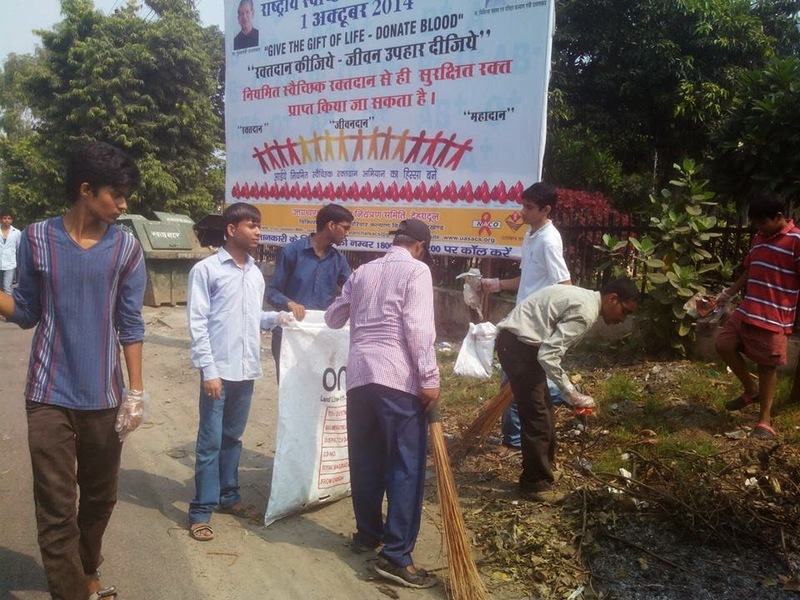 This campaign aims to accomplish the vision of 'Clean India' by 2nd October 2019, 150th birthday of Mahatma Gandhi and is expected to cost over Rs 62,000 crores. 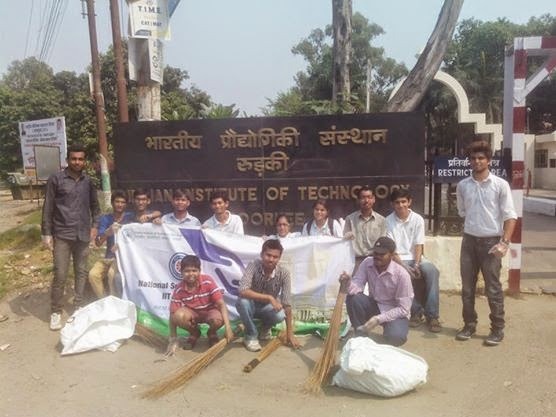 Moving on the parallel tracks of Swachh Bharat Abhiyan, NSS IIT Roorkee organized an event of cleaning the surroundings of the institute. 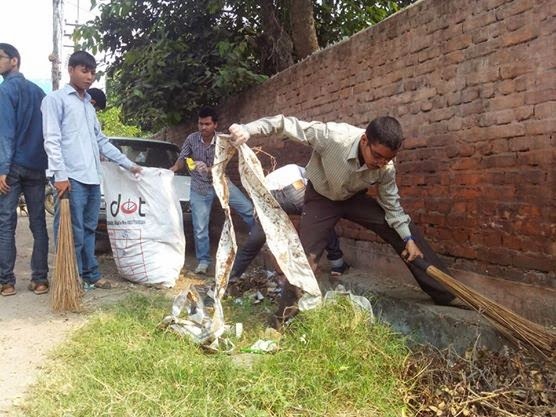 Students swept inside as well as outside the campus, bringing awareness among people about cleanliness. Dr. Pradipta Banerji, our Honorable Director along with Prof. (Dr.) S.P. Gupta, the Honorable Deputy Director and Prof. (Dr.) D.K. Nauriyal, the Dean of Student Welfare, inaugurated the campaign by paying homage to the Father of the Nation, Mahatma Gandhi. 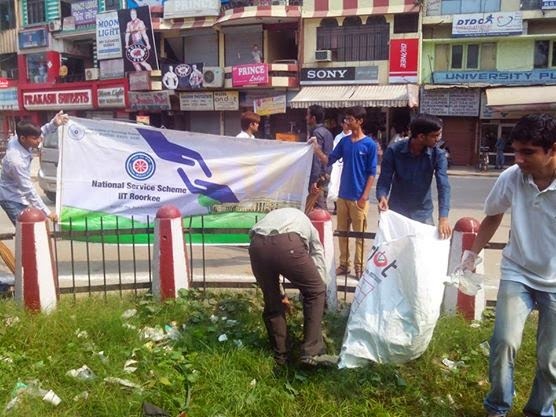 The students were provided with plastic gloves and huge brooms and hence, all contributed for a cleaner India. 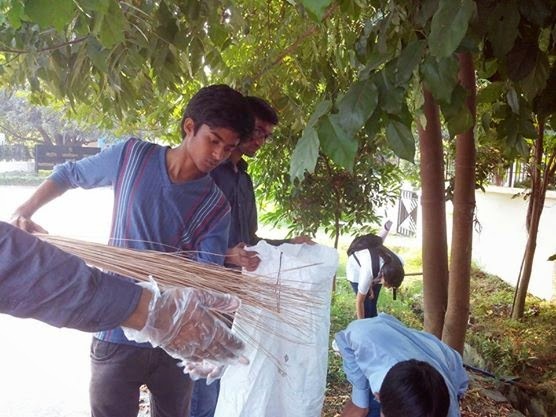 Almost every nook and corner of IIT Roorkee campus was cleaned by them including the organic waste like leaves or packets of food articles, they picked almost everything. At the same point of time, they never felt ashamed or embarrassed to do so, instead the students were elated by such an initiative. "Drops of water make the mighty ocean." In the same way, our small contributions can make huge differences. Such small acts of keeping our own surroundings clean when multiplied by 121 million Indians can transform India into a clean and green country. A clean country attaches to itself a disease free world and increase in tourism. It needs just some logical thinking to come out of the assumption that others would come and become our scavengers, instead just remember the Gandhi quote and be your own scavenger.